If you’re reading this, that means you’ve been blessed by the discoveries of Nikola Tesla. His work drastically changed the world and paved the road for many other inventions that we can’t live without today. 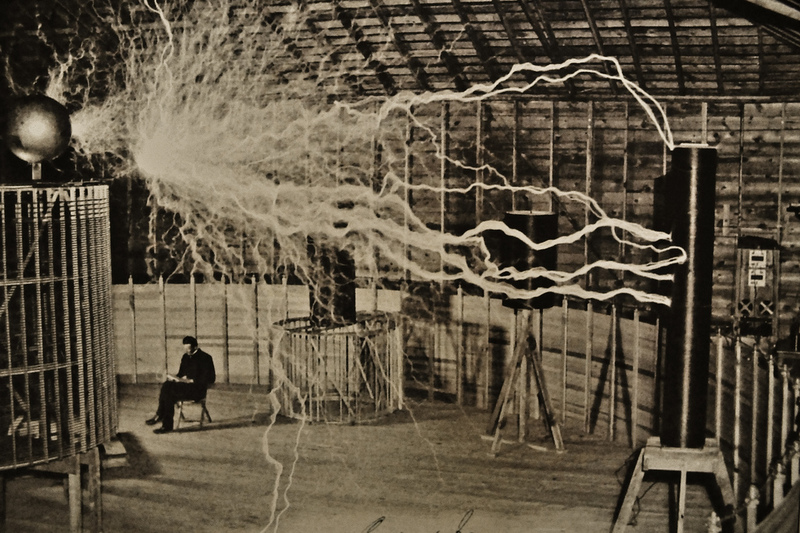 Without Tesla, we wouldn’t have electricity, radars, X-rays, radio or Wi-Fi. That’s why one of Belgrade’s best museums is dedicated to this genius and his numerous achievements. 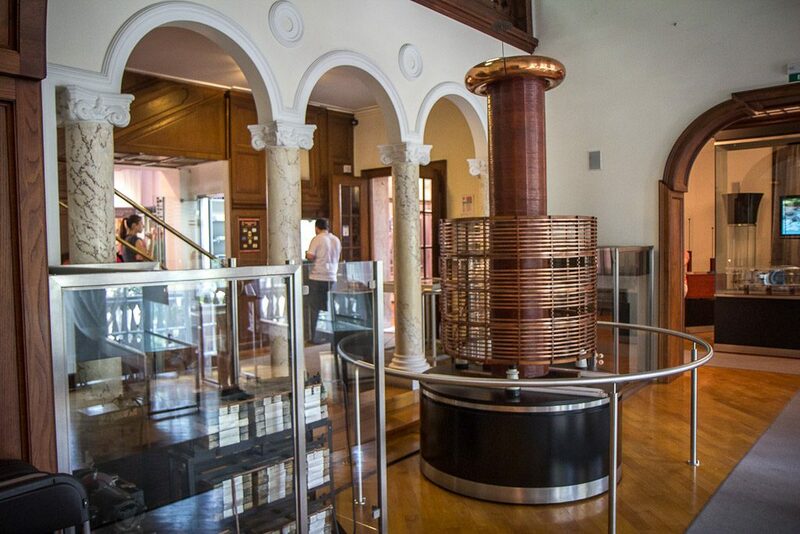 Belgrade is lucky to have such a rich collection of Tesla’s journals, books, instruments, photographs and replicas of his devices, all kept in this museum. Actually, it’s so significant that in October of 2003 UNESCO included Tesla’s archive, as a part of the movable documentary heritage of mankind, in the Register “Memory of the World”. The Museum takes great pride in its exhibitions and archives, and so do the Serbian people. 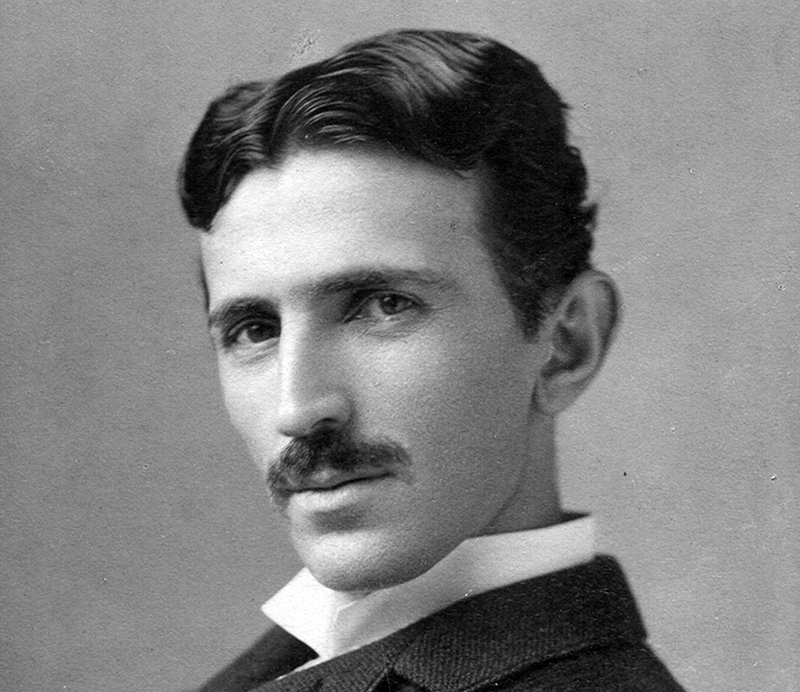 Tesla was a Serbian inventor and engineer born in a small village named Smiljan (former Austria-Hungary). His interest in electrical invention was spurred by his housewife mother, who invented small household appliances in her spare time while her son was still a child. He ended up becoming one of the greatest visionaries of all time and thanks to his revolutionary thinking, we all have power in our homes. When he was in his 20s, he moved to the United States and worked for Thomas Edison for a short period of time. Edison was impressed by Tesla, but a certain conflict made them part ways. Namely, there’s a story about Edison telling Tesla he would pay him $50,000 for an improved design for his DC dynamos. After months of hard work and dedication, Tesla presented him with the solution, at which Edison said “Tesla, you don’t understand our American humor” and refused to pay him. This made Nikola quit. After that, he started working on his own, but, unfortunately for him, he was too naïve. A couple of investors stole his important patents and left him penniless and forced to dig ditches for a living. Fortunately, in the following years, his life changed for the better. He developed an induction motor that ran on alternating current, designed the Niagara Falls AC hydroelectric power plant and finally started profiting from his genius ideas. However, Edison wasn’t too happy about Tesla’s fame and he tried to undermine him with a bizarre negative campaign. He paid schoolboys to steal pets from the neighborhood close to his lab and then electrocuted them publicly using Tesla’s alternating current, to show people AC is dangerous. Luckily, he wasn’t very successful in convincing them. Tesla just kept getting better and better. One of his most famous inventions is the Tesla coil – an inductor used in many early radio transmission antennas. This device is actually the basis of wireless technologies, which were Tesla’s early vision. He used the coil to experiment with X-rays and phosphorescence and, thanks to him, this is still used in radio technology today. He even had a plan of providing free wireless energy to the entire world, but since there was no profit in that, that idea was shut down quickly by the potential investors. In total, Tesla obtained around 300 patents worldwide. However, many of his inventions weren’t put into patent protection, so an exact number is unknown. What’s mind-blowing is that some say he even had visions about smartphones in the 19th century! This is the second most visited museum in Belgrade, right after the Museum of Yugoslavia. It’s not large in size, but it’s packed with Tesla’s fascinating projects as well as personal items. This is the best way to learn about the late scientist and the closest you can get to knowing him. Other than having an educational and scientific dimension, the Museum also has a memorial role. A fact you might find interesting is that the Museum holds Tesla’s ashes in a golden orb, which makes it one of the few museums in the entire world which has a memorial besides its technical function. There have been arguments with the church about whether the remains should be moved to the St. Sava Temple, but the secular supporters of the Museum have managed to keep them here. Following Tesla’s death, his entire personal property was sealed and sent to Belgrade. In 1952, the Nikola Tesla Museum was founded. 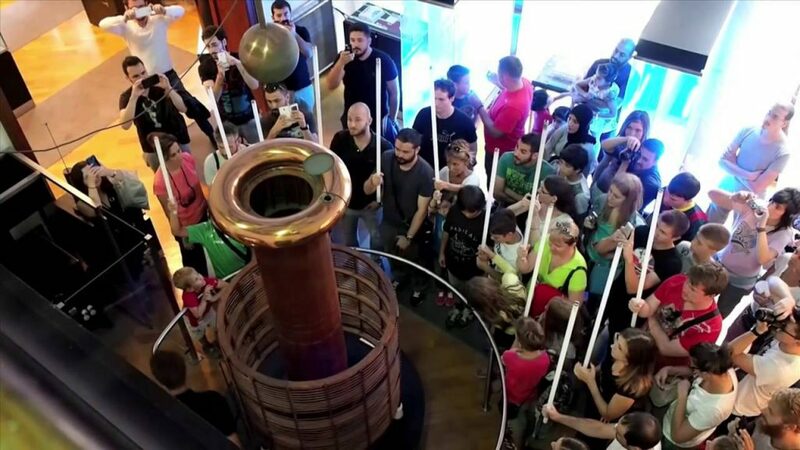 Since then, its main goal is to preserve the scientific and personal legacy of Nikola Tesla and to continue collecting items connected with his life. The first thing you’ll encounter on your trip through Tesla’s life is a short informative film about him. Then, you’ll enter the world of his discoveries. Perhaps the most interesting part of the interactive tour is the demonstration of Tesla’s machines before your very eyes. So set the geek in you free and enjoy the show! Probably the most interesting demonstration is one of the transmission of electrical energy without wires. The visitors will be each given fluorescent tubes, while the Tesla coil generates actual lightning. At that moment, the free energy produced will illuminate the tube in your hands. Basically, you’ll get the chance to be a human conduit! You have to admit that’s pretty impressive. If you’d be into that, you’ll also be able to touch lightning. Don’t worry, it will be completely harmless, you’ll just feel a little bit of tickling on your hand. Once again, the Museum is located in the very heart of Belgrade, in Krunska Street and it’s closed on Mondays only. If you’re staying in the city center, the Museum is easy to get to. We highly recommend taking a guided tour in English (there’s one every hour), which costs less than 5€, in order to really understand what you’re seeing. You might know Tesla only as a name of a big company. Perhaps you’ve only heard of him, but never fully got to explore his life. However, even if you’re already familiar with Nikola Tesla and his work, don’t miss a perfect chance to witness it all in person!